Home National News & Views California and the U.S. Where’s the evidence Aoki was FBI informant? Where’s the evidence Aoki was FBI informant? Seth Rosenfeld’s dramatic announcement that Richard Aoki was an FBI informant provoked an enormous response from Chronicle readers. Could it be true? Or was this a “snitch-jacketing,” a classic FBI tactic used to cast suspicion on a legitimate activist by spreading rumors and manufacturing evidence? As a scholar, I insist on seeing evidence before concluding any “truth.” But as I read Rosenfeld’s work and cross-checked sources from my biography on Aoki, I realized Rosenfeld had not met the burden of proof. He made definitive conclusions based on inconclusive evidence. If Aoki was an informant, when was he informing? How did he help the FBI disrupt political movements? What were his motivations? I also questioned Rosenfeld’s motives. Rosenfeld’s piece, published the day before the release of his own book, gained him widespread media and public attention that surely will augment sales. Rosenfeld offers four pieces of evidence against Aoki. In the FBI pages released to me, only brief background material on Aoki is linked to T-2. Moreover, T symbols are used to refer to informants or technical sources of information (microphones, wiretaps). So was Aoki the informer or the one being observed? Rosenfeld cites only one FBI document … [It refers to SF T-2, but] T symbols are used to refer to informants or technical sources of information (microphones, wiretaps). So was Aoki the informer or the one being observed? Second, FBI agent Burney Threadgill Jr. said he recruited Aoki in the late 1950s, but we have no substantial evidence other than Rosenfeld’s reports, and Threadgill has since died. Third, FBI agent M. Wesley Swearingen’s statement, as quoted by Rosenfeld, is hardly compelling: “Someone like Aoki is perfect to be in a Black Panther Party, because I understand he is Japanese. Hey, nobody is going to guess – he’s in the Black Panther Party; nobody is going to guess that he might be an informant.” But more logically, Aoki’s racial difference made him stand out and aroused suspicion. Are we asked to simply trust authority figures? Fourth, Aoki’s remarks, as seen in the video, are open to multiple interpretations, and Aoki denies the allegation. Anyone familiar with Aoki knows that he spoke with wit, humor, allusion and caution. Where’s the conclusive evidence? FBI reports notoriously get things wrong, unintentionally (misinformation, typos) and intentionally (“snitch-jacketing”). The FBI in its Cointelpro program created false letters and cartoons to foment conflict between the Black Panthers and another Black nationalist organization, resulting in the 1969 murders of two Panthers at UCLA. I have an FBI report, dated July 30, 1971, 105-189989-38, stating that Aoki had been “invited to become Minister of Defense of the Red Guard” and served as “the liaison link between the Red Guard and the Black Panther Party.” But this seems wrong, based on archival documents and my interviews with Aoki and Red Guard leader Alex Hing. Simply put, because of the FBI’s political motives, FBI reports must be carefully cross-checked with non-FBI sources. But the entirety of Rosenfeld’s evidence relies on FBI sources. FBI reports notoriously get things wrong … [and] must be carefully cross-checked with non-FBI sources. But the entirety of Rosenfeld’s evidence relies on FBI sources. I was surprised that Aoki became the centerpiece of the chapter in Rosenfeld’s book on the 1969 Third World strike. While Aoki was an important activist, he was largely unknown. Aoki and others agree that the Third World strike promoted collective leadership. They believed, as did African American civil rights activist Ella Baker, that the charismatic leadership model encouraged hero worship, reinforced individualism and narcissism, and diminished ordinary people’s belief in their own power to effect change. Rosenfeld elevates Aoki to “one of the Bay Area’s most prominent radical activists of the era,” a point that amplifies the drama of his own discovery. Rosenfeld is particularly critical of activists’ use of violence without placing this violence in a larger context. He implies that Aoki’s guns, given to the Black Panther Party, triggered the police’s, FBI’s and government’s backlash. Yet he ignores the police brutality that inspired the Black Panthers’ police patrols and the violence of racism and poverty that inspired the Panthers’ free breakfast programs. 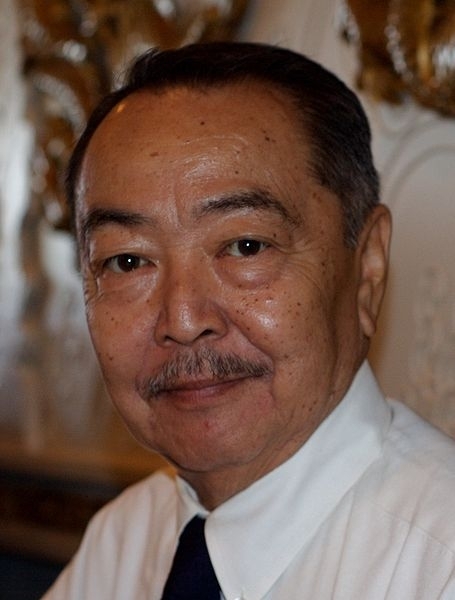 Instead, Aoki used the symbolic power of violence to stop the greater violence of the government’s failing to actively counter poverty and institutionalized racism at home and in imposing war in Vietnam. Rosenfeld … implies that Aoki’s guns, given to the Black Panther Party, triggered the police’s, FBI’s and government’s backlash. Yet he ignores the police brutality that inspired the Black Panthers’ police patrols and the violence of racism and poverty that inspired the Panthers’ free breakfast programs. In my book on Aoki, I write that instead of being the trigger, Aoki acted as the “safety on the gun.” He was careful to teach gun safety. Neither the Panthers nor Aoki expected to win a military battle with the government. Firing the gun wasn’t their intended goal. Instead, Aoki used the symbolic power of violence to stop the greater violence of the state. So why did Rosenfeld magnify Aoki when his book focuses more on Mario Savio, Clark Kerr and the Free Speech Movement? What responsibility does an author have to provide evidence beyond reasonable doubt before broadcasting disparaging accusations? Rosenfeld’s article, video and book raise many questions, but fail to meet the burden of proof. Diane C. Fujino is a professor and chair of Asian American studies at UC Santa Barbara and author of “Samurai Among Panthers: Richard Aoki on Race, Resistance, and a Paradoxical Life” (University of Minnesota Press, April 2012) and of “Yuri Kochiyama, Heartbeat of Struggle,” (University of Minnesota Press, 2005). This story first appeared on the editorial page of the San Francisco Chronicle.